It’s finally here!! 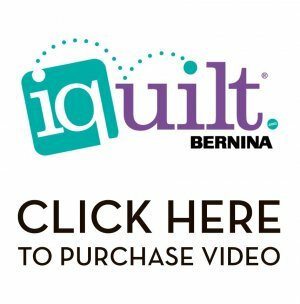 The AQS “iquilt” video and I am so excited!! Being an iquilt instructor has taught me so much and I am excited to pass that on to you. All you have to do is CLICK HERE to purchase the video! The class includes a pattern “To Everything there is a Season” designed specifically for this video. I will walk you through constructing the wall hanging; complete appliqué instructions as well as finishing tips. There are additional tips that I will share that will help you make your project even more creative. Now to go even further, we are offering a precut kit including all of the appliqué pieces (fused with the fusible bonding), lettering and button pack. View kit here. Watch the video below for a glimpse of what the video is all about!